Massage therapy can play a vital role in both alleviating pain and tension and restoring motion and health for a variety of medical conditions. Dr. Chris M. Pell, DC at Chiropractic Centers of Ocala offers a range of therapeutic massage and pressure point therapy to patients throughout Ocala, FL and the surrounding areas. Most people, when they think of massage, think of relaxation or Swedish massage. This is a very different approach than the therapeutic massage offered by rehabilitation clinics and medical centers. Swedish massage is focused on loosening stiff muscles and imparting a general sense of relaxation and euphoria. Massage therapy, on the other hand, is a means of medical massage that treats sports and soft tissue injuries to aid with healing and restoring a sense of motion. Many athletes use therapeutic massage, which works in conjunction with chiropractic to restore a sense of well-being and range of motion for a variety of nerve, tendon and muscle injuries and conditions. How Does Pressure Point Therapy Work? Pressure point therapy is an important part of therapeutic massage that focuses on the manipulation of pressure points in the patient’s body. These pressure points have been known by practitioners of traditional medicine for centuries, and are backed up by current scientific knowledge. Tension in the body accumulates around these specific points, causing contractions and spasms in muscles, usually resulting from lactic acid that is produced from trauma, stress, fatigue, or other biophysical triggers. Manipulating pressure points allows the release of toxins, increased blood flow, and relaxation of the muscles. How Does This Encourage Natural Healing? The human body is an amazing machine, capable of great feats of self-healing if given the chance. Massage therapy through the manipulation of soft tissue and pressure points encourages the body’s natural healing processes. By allowing the body the opportunity to relax, improve oxygen flow through the muscles, increase blood flow and eliminate toxins, the body is able to perform its own healing, restoring the patient to optimal performance. 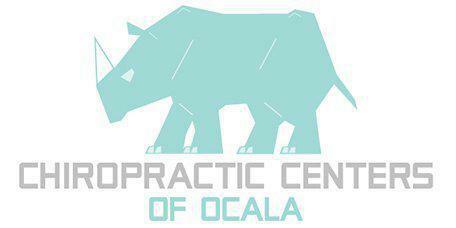 Chiropractic Centers of Ocala offers a range of chiropractic and restorative therapy to residents throughout the region. These services include thorough massage and pressure point therapy to restore and improve natural healing processes.